As the skills shortage within the construction industry increases, the CIF and Skillnets – a Department of Education initiative- have joined forces to develop a programme aimed specifically at SMEs that will deliver more industry focused training where the need is greatest. The roll out of these new training programmes will initially be in the areas of Health and Safety, Building Regulations, and Lean Construction techniques. 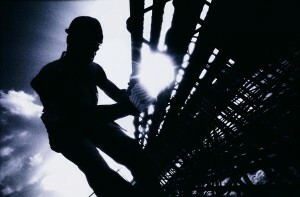 The Construction SME Skillnet secured its funding in September of last year and is now in its first year of operation. By working in partnership, the CIF and Skillnets can provide significant opportunities to CIF members. Tracey Donnery, Senior Programme Manager with Skillnets said: “Skillnets is delighted to work with the CIF in supporting the development of the Construction Skillnet, which will enable employers within this sector to access relevant and quality training. Investing in skills development for current and future skills needs is critical for businesses to grow and expand. Today’s launch provides a great example of how the network model can deliver enterprise-led skills solutions to grow Ireland’s economic recovery into the future”. The Construction Skillnet is funded by member companies and the Training Networks Programme, an initiative of Skillnets funded from the National Training Fund through the Department of Education and Skills.